I am a hardworking, enthusiastic, and fun individual who has always enjoyed working in teams. I am used to dealing with the public. I am trustworthy and have been responsible for tasks in demanding areas. These often required significant care concerning health and safety. Previously I have worked on various live concerts and theatre productions working both front of house and backstage. The shows that I have worked on included Peter Pan, the UK Premiere of The Addams Family and an original musical production that debuted at Charring Cross Theatre on London’s West End. Graduated from the University of West London in 2014 with a degree in music technology. Previously I was employed on a 6 months contract for Waterman’s Art Centre in West London undertaking various technical duties and looking after the centres theatre,cinema and gallery spaces. Alongside contract work I also work for Pirate Crew Ltd were I have worked in West End venues including the National Theatre and as a freelance technician. I am always keen to find new and exciting opportunities and companies within the theatre industry. Working Knowledge of Lighting and Ion consoles. Studio recording and Mix Engineering. 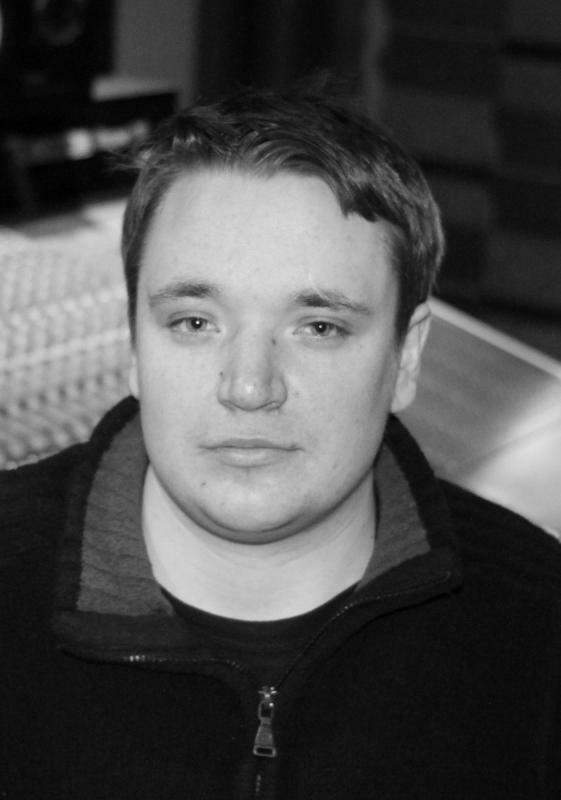 Andrew Bourbon – Live Sound tutor / Lecturer. Casual technician at theatre royal assisting the stage technicians and other departments including sound and lighting undertaking various duties and tasks in support of their current in house productions. Production Technician: I Am Queen Anne, August 2015. Technician for an original production showing at the Camden Fringe 2015, duties included programming and operating the shows sound, projection and lighting. Worked as a Technician at Waterman’s Art Centre. The Centre includes a 200-seat theatre a small independent cinema, two studio spaces and art Gallery. Duties and responsibilities included meeting all of technical requirements needed in these spaces. Working in theatre and studio spaces involves setting up and frequently operating both sound and lighting systems required for a wide variety of programmed stage productions including Musical theatre, dance workshops, Showcase's and children’s theatre. Being responsible for working with various touring companies and their shows. As a technician at Waterman's I was frequently responsible for setting all of the lighting and sound for these productions. Developed a working knowledge of lighting and sound equipment including ETC, Ion, Zero 88 lighting boards and Allen & Heath, Yamaha and Spirit sound consoles. Working within the Gallery involves tasks ranging from hanging art pieces to more technical builds including carpentry or projection setups including working with AV equipment. A broad range of specialist skills is often relied upon in order to exhibit the artist’s work according to their technical specifications. Responsibilities whilst working in the cinema include programming a 'Doremi' digital projector, scheduling the weekly films and ensure they are projecting in the right aspect ration and size. This can often involve problem solving under time constraints. Duties also involve tuning and overseeing the regularly programmed National Theatre and Glyndebourne Live broadcasts. Other duties and responsibilities involve sourcing films scheduled for showings; If a newly released film isn’t delivered on time duties also include tracking down and contacting the appropriate film distribution companies to arrange deliveries to the centre in time for film showings. Maintaining a good work attitude and ensuring health and safety standards are met throughout all of the spaces in the centre. Technicians are responsible for ensuring the safety of the performing artist’s, members of public and other members of staff. Scenery Loading Crew: Mayhem Musical Theatre Company: Our House, Lost Theatre Wandsworth, May 2015. Assisted company load and build scenery for the musical production of ‘Our House’. Worked with Set designer and team to build the show prior for its technical and dress rehearsal’s. Pirate Crew Limited Crew member, February 2015 – Present. Currently working as a crewmember for Pirate Crew Ltd a leading supplier of backstage personnel to theatre. Operating mainly in west end venues I have worked at venues such as the London Palladium and The National Theatre assisting in various technical duties. Casual Technician: Oval House Theatre, March 2015. Worked as a casual Technician for Oval House Theatre for the 2015 spring season. This included working on various productions in the spaces programming the LX and sound. Casual Technician: Waterman’s Art Centre, July 2014 – March 2015. Casual Technician at Waterman’s Art Centre based in West London. Progressed to become in house technician on a six months contract in March 2015. Production Technician: Hillcrest Artists: The Blind Bet, Hen & Chickens Theatre, February 2015. Tasks included setting up and operating both the lighting and sound during the production week. Other tasks including creating sound effects and recording voice-overs used during the show. Worked with both the director and producer to design a suitable lighting state for the show and helped with both the load in and get out at the end of the run. Lighting Load in Assistant: LAMBCO Productions, Landor Theatre, February 2015. Assisted Lighting company build and focus lighting rig for a musical theatre production ‘She Love’s Me’ at the Landor Theatre. Tasks included hanging and focusing lighting fixtures, running DMX and general cabling throughout the rig. Other tasks included setting up sound system required for the production. Performer Flying Operator: Mayhem Musical Theatre Company: Peter Pan: A Musical Adventure, Bloomsbury Theatre London, December 2014. Performer Flying Operator and stage crew for a production of Peter Pan a musical adventure. Responsible for fitting the cast with harness’s and flying principle character’s during the show using a counterweight flying system. Gained training prior the production from professional flying company Flying By Foy. Front of House Team Member: Udder belly / London Wonder ground Festival, London South Bank, May 2014 – October 2014. Duties and responsibilities included working with members of the public and maintaining a performing venue. Duties also included helping with the quick venue turnovers required before each of the shows. Sound Engineer: Oval House Theatre: I Am your Neighbour Festival Launch, July 2014s, London. Sound Engineer for a Festival launch in Brixton. Event included various speakers and performers promoting the event-taking place within the community in Brixton. Tasks involved setting up and monitoring the Sound for the event. Sound Engineer: Bell Square outdoor arts space, London, June 2014. Assisted with the technical build for an outdoor theatre performance for the Hounslow trust Bell Square arts space. Responsibilities’ included building the PA and creating the performance space in a busy public environment. Waterman’s Arts Centre organised event. Sound Engineer: LCM Music Theatre: Oh What A Lovely War Waterman’s Theatre, London, April 2014. Sound Engineer and operator for the LCM production of Oh What A Lovely War the musical. The show was mixed using a Digico SD9 console. Stage Crew: Mayhem Musical Theatre Company: The Adams Family Musical UK Premiere: Secombe Theatre, Sutton, March 2014. Worked backstage during the UK premiere of The Addams Family Musical. Tasks included moving various set pieces on and off stage during the scene changes safely, helping the cast during the shows. Operated the hemp rope flying system during the technical and dress rehearsals. Sound Operator /Stage Crew: LCM Musical Theatre: Bel – Ami: Waterman’s Theatre, Charring Cross- Theatre, London. February 2014 to March 2014. Sound Op and Stage Crew for the London College of Music’s original musical adaptation of Bel – Ami. Worked both front of house mixing many of the shows. Also worked backstage fitting radio microphones to the cast and running communications with stage management and front of house. Show opened at Waterman’s Arts Centre before transferring to Charring Cross Theatre for a two week run. Created a microphone plot and script for the show with sound 2 backstage to ensure a smooth running of the show. Worked with the cast on a daily basis ensuring they were happy and microphones worked. Sound Engineer: LCM Musical Theatre Orchestra performance: December 2013. Worked as a live sound engineer for an orchestra performance held at the London college of Music as a part of a fellow students masters degree. Helped set up the venue and mixed the show live. Assisted the packing down after the show. Sound Engineer: LCM Big Band Christmas Concert: December 2013. Worked as a live sound engineer for the London College of Music end of year Big Band Christmas concert. Helped set up the venue and mixed the show live using a Beringer X32 Digital console. Assisted the production team with the load in and packing down post show. Sound Engineer LCM Musical Theatre: Salad Days / The Biograph Girl: Waterman’s Theatre, London November 2013. Live sound engineer for two London College of Music Productions. Mixed both shows and Assisted the production team load in and out of the theatre. Assisted on the stage pre show with setting up the set and props. James was punctual, thorough and competent. pleasant to work with. Would hire again.